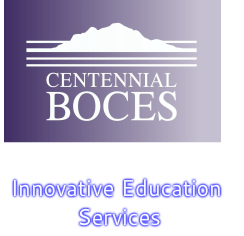 The Centennial BOCES Alternative Principal Licensure Program (APLP) is a state approved non-traditional licensure program. The APLP is designed for the educational leader who would like to become a licensed principal in Colorado but has not completed a traditional principal licensure program through a university. The program is an intensive one year “on-the-job” training that includes self-assessment activities, research-based applications, best-practice integration, and field studies analysis. Each of these areas directly aligns with the Colorado Principal Quality Standards and Elements. REGISTRATION FOR THE 2019-20 SCHOOL YEAR WILL BEGIN IN THE SPRING! Completion of an online application for an alternative principal license at www.cde.state.co.us/cdeprof (select apply for or renew a license or authorization, then select alternative license principal). The SOE is a step within the application process. The 2018-19 APLP fee is $5,000 for member districts and $6000 for non-member districts. Payment will be arranged with individual APLP candidates and schools/school districts.